Chuck: "I have a photo which should be right in the Mystery Foto wheelhouse. It’s not the greatest quality, and it appears the photographer was fighting looking into the sun, but it did freeze a moment of time…….when I enlarged it the concerning thing is it looks like someone at some point penciled over the number on the radiator and copied it. 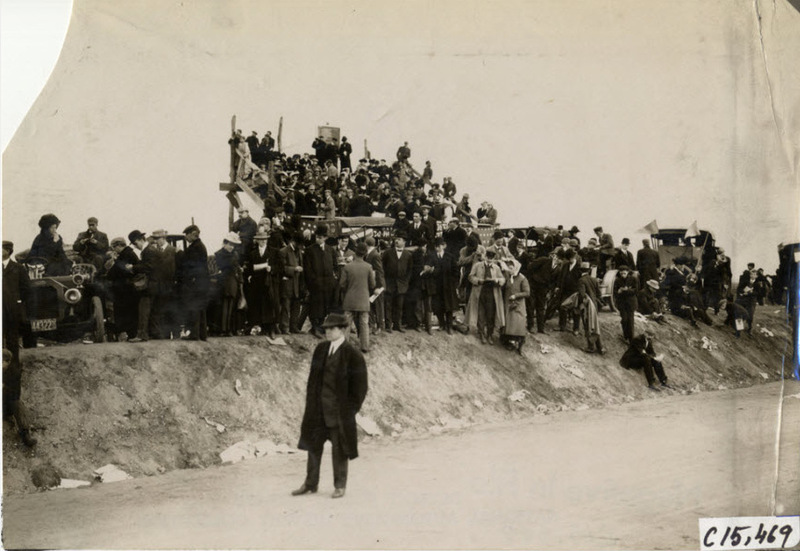 The claim by the seller was this was Sheepshead Bay but the pits are on the wrong side and the pits are…..well…..pits." Looking west at the grandstands on the Long Island Motor Parkway. The photo was taken from the officials' stand/press box. 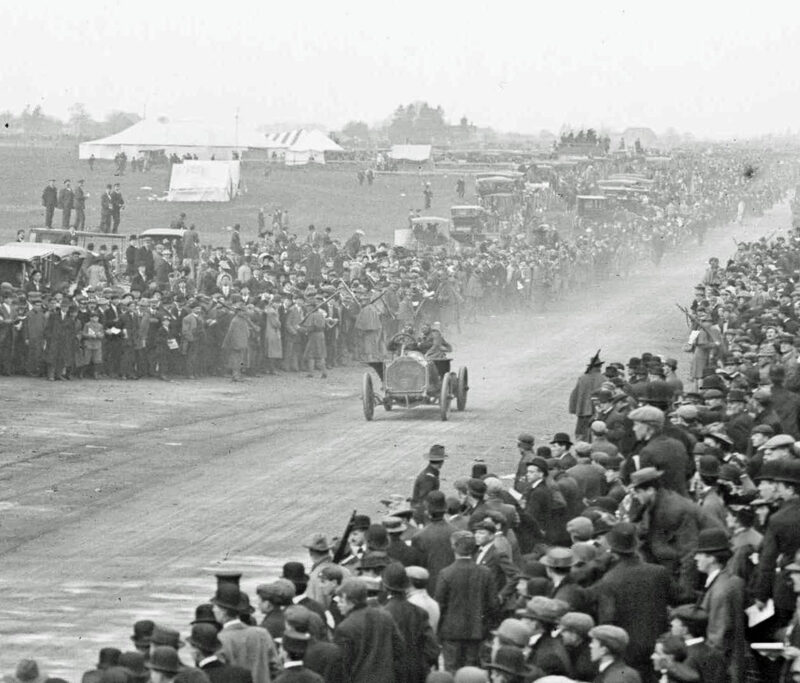 Identify the two race cars and their drivers. Provide a rationale. As submitted by Ariejan Bos, this Bain News Service photo is posted on the Library of Congress website. Link to the Bain collection of Vanderbilt Cup Race photos. 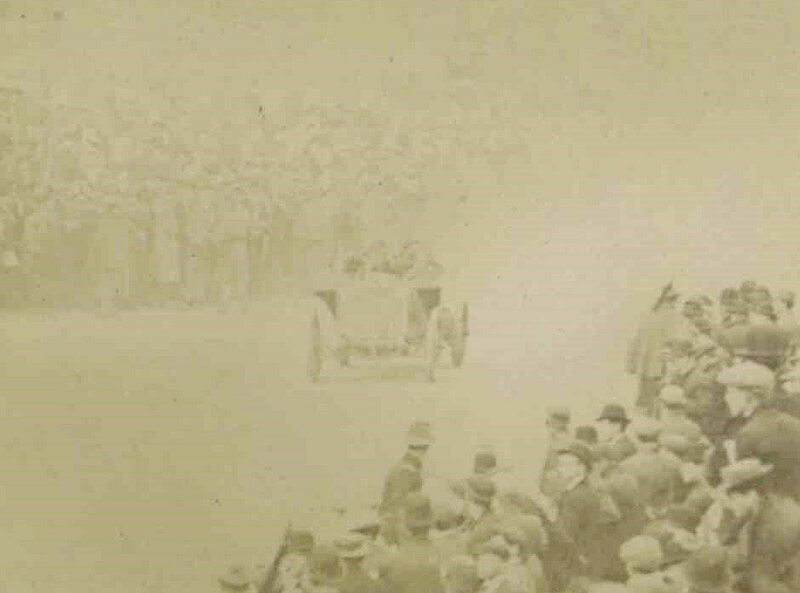 Congrats to Tim Ivers, Steve Lucas, Greg O. and Ariejan Bos for identifying Foxhall Keene and Herb Lytle during the 1908 Vanderbilt Cup Race. Kudos to Ariejan for locating the Bain photo on the Library of Congress website. 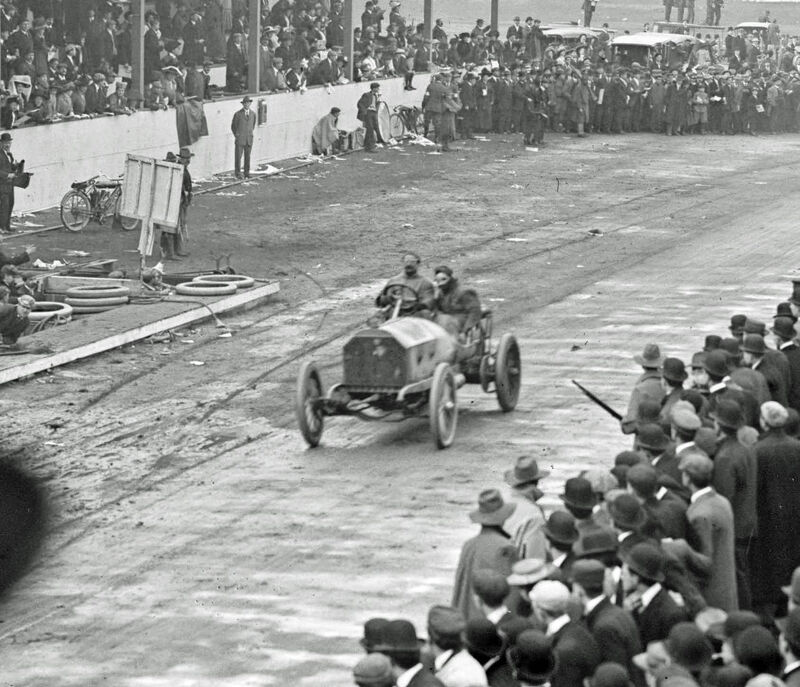 #6 Isotta with two fenders driven by Herb Lytle. The photo was taken from the second level of the officials' stand/press box. #18 Mercedes. Note Foxhall Keene's mustache. #6 Mercedes with tow fenders driven by Herb Lytle. 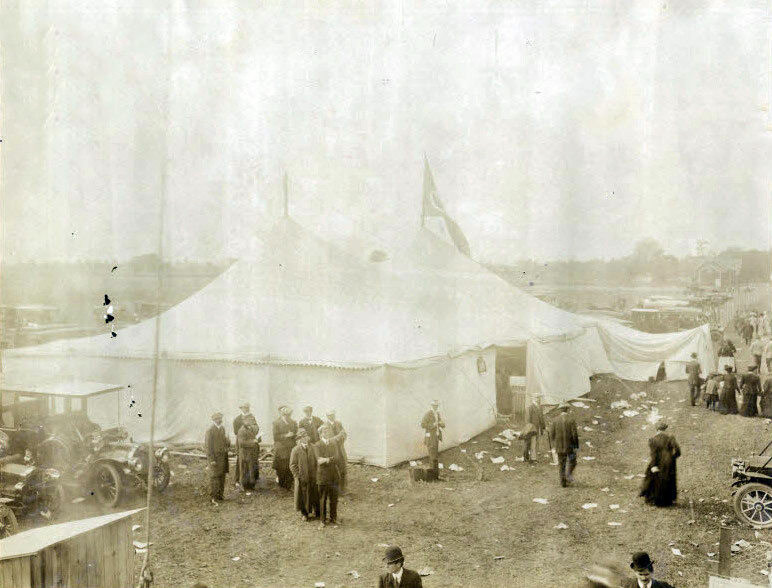 Note the large tent in the background. Another view of the tent. Likely the headquarters for an automobile club. A close-up of the grandstands. Can anyone identify the flag? Specators to the wet of the official's stand/press box. 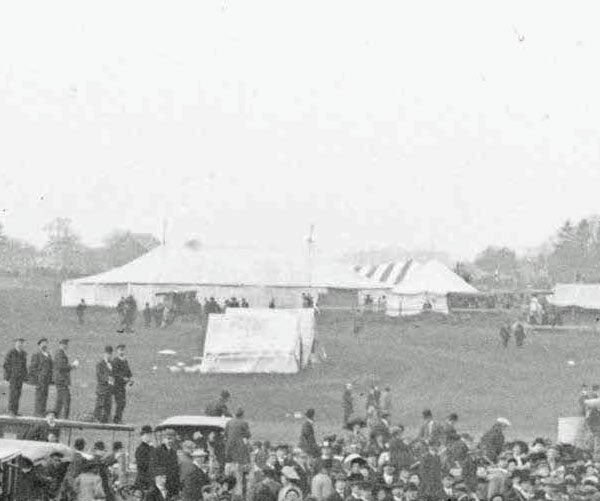 Note the small grandstand at the upper right corner. 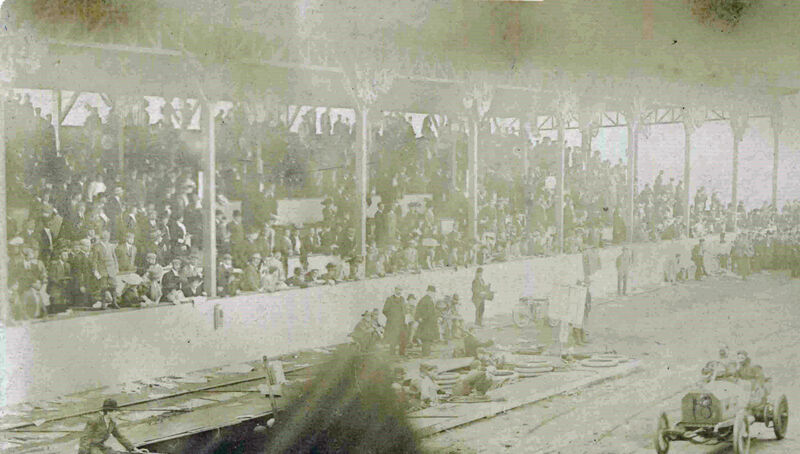 Another view of the small grandstand. I don’t plan on digging into this mystery photo, but what a great tribute to Bartolo Colon. After reading about his upbringing and various injuries/complications during his career; hitting his first home run was inspiring to say the least. Thanx for the cool Colon video montage! 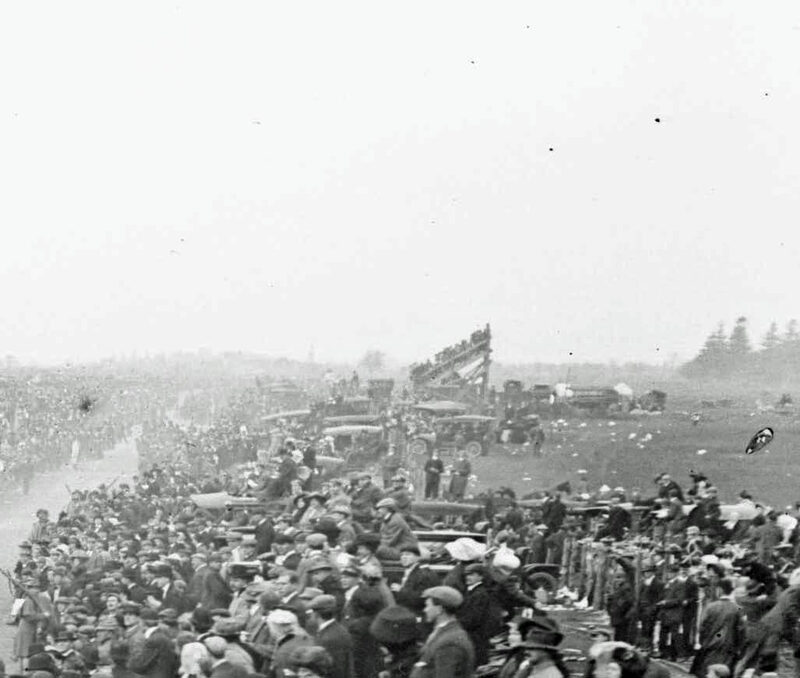 Looks like the 1908 Vanderbilt Cup race at the Levittown grandstand. 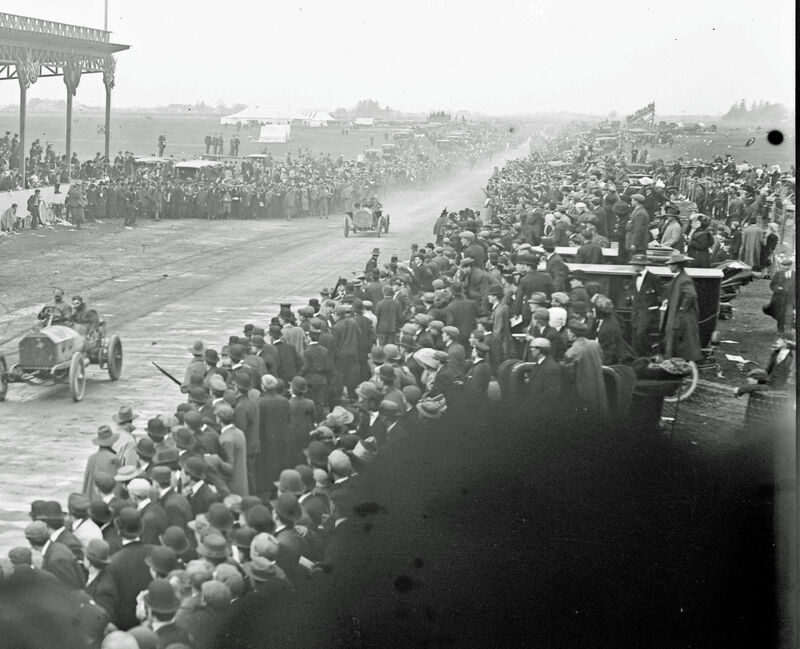 Assuming the number 18 is accurate, I think this might be a photo of Foxhall Keane driving the #18 Mercedes past the grandstands on the LIMP in Hempstead Plains (now Levittown) during the 1908 Vanderbilt Cup Race on October 24, 1908. 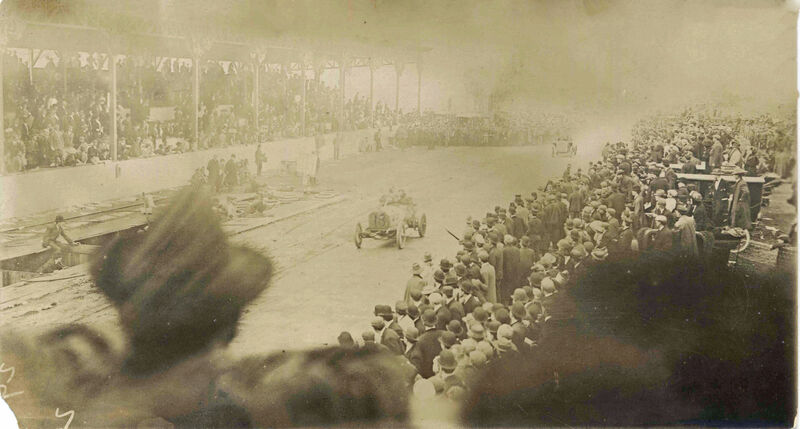 If I’m right so far, then based on the shape of the front fenders, the car in the background could be the #6 Isotta driven by Herb Lytle. 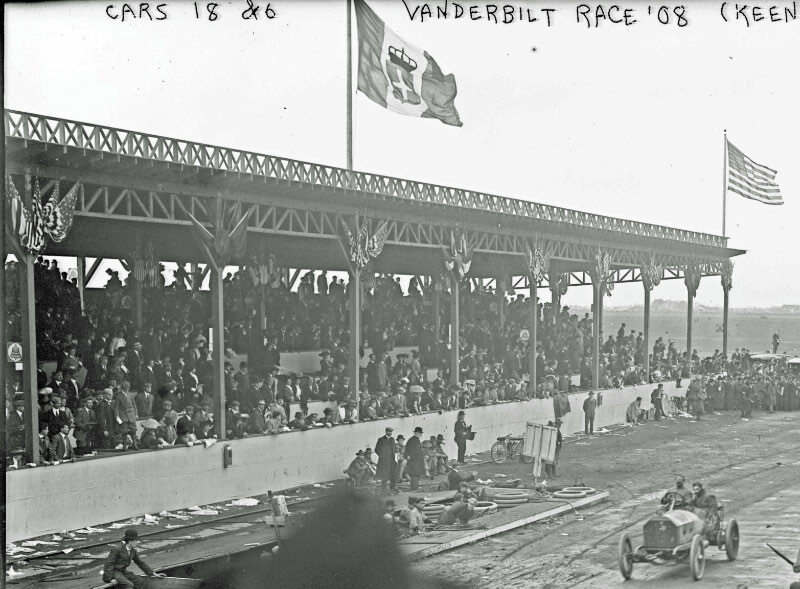 That’s the grandstands for the 1908 Vanderbilt Cup Race on Oct. 24, 1908. The car in front is #18 Mercedes driven by Foxhall Keene. 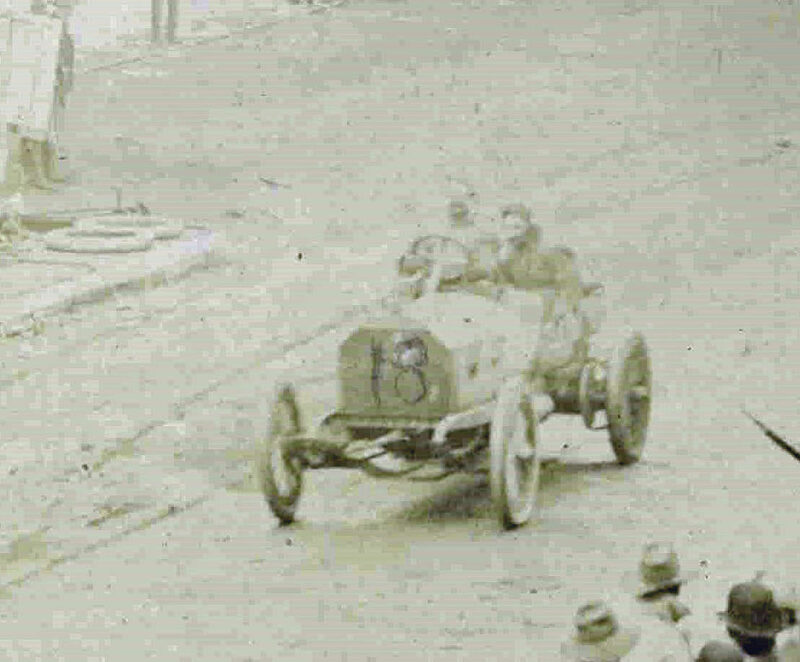 The rear car is the #6 Isotta driven by Herb Lytle -has the recognizable fenders. 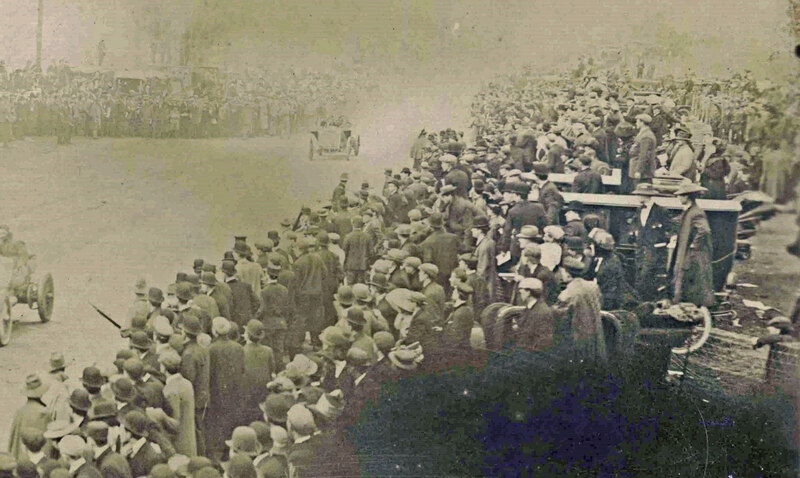 Identify the two race cars and their drivers. Provide a rationale. 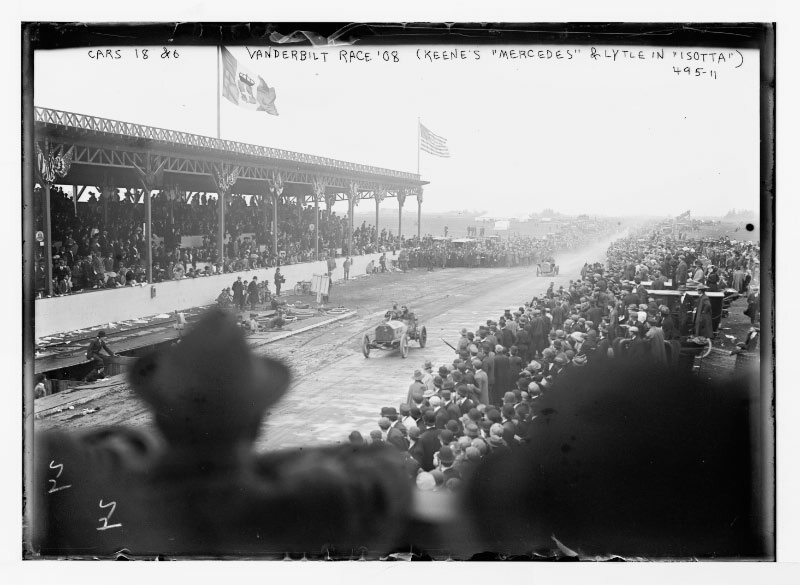 : George Robertson in the lead (actually #16, Locomobile) followed by Herb Lytle (#6, Isotta). Why not? I assume the above photo is the original of the friday mystery photo. It is present in the photo collection of the Library of Congress and was a press photo by the Baines News Service. All text is on the photo, so no further comments from me. 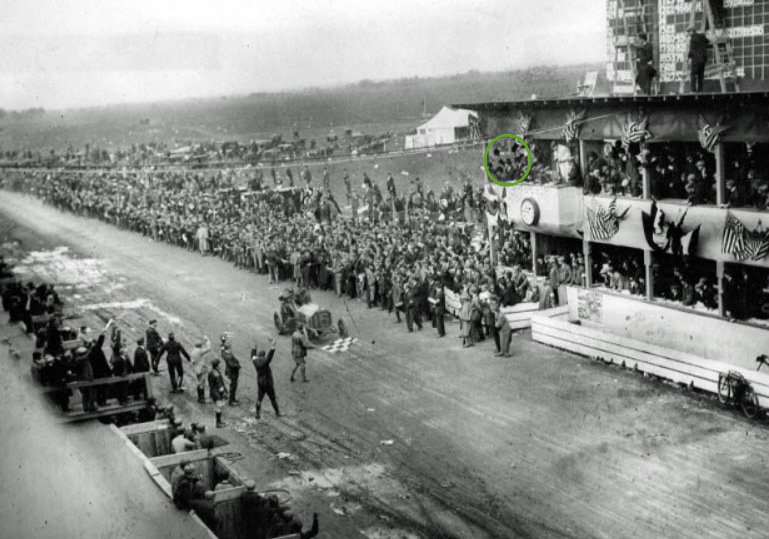 Only maybe that the number 18 on the mystery photo clearly has been improved at a later stage (we now call this photo shopping! ).